or your jaw make your life miserable? (24 hours a day for dental emergencies). Don’t put up with pain any longer! 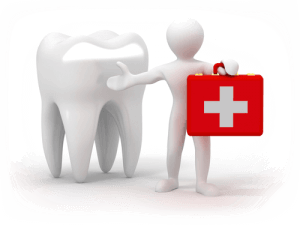 Call our Emergency Dental Service immediately at 450-663-8088 or click on the button below. Whether you are a patient or not, when pain is unbearable, you need to act quickly and get the right treatment. One of our emergency dentists will take care of you as soon as you arrive. You can say goodbye to the pain that keeps you from sleeping, eating, and thinking. Our emergency dentist is experienced and will be able to treat you quickly to get you much-needed relief. In addition to providing relief, the dental specialist will perform a thorough check of your teeth so that you will leave with healthy teeth. In some cases, you may be asked to come back for a second appointment to complete the treatment definitively. That is why our specialists will be happy to advise you and answer your questions to avoid future dental emergencies. We understand things happen off the clock. That’s why we welcome you with open arms. At Clinique dentaire de l’Avenir, you get the treatment you need. Please note that to provide optimal service, our emergency dentists work during the holiday season and on all public holidays of the year, and are on call 24 hours a day. Don’t put up with pain any longer! Call our Emergency Dental Service immediately at 450-914-9107 or click on the button below.